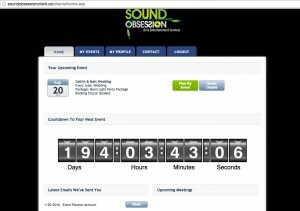 Sound Obsession’s interactive software helps you choose songs for your wedding or event! This helps you save time, and helps make the planning process much more enjoyable. Choosing the right songs can be a difficult process. Especially when there are so many other things to do for your event! However, having all the songs in one spot, and a click away, will make the planning process easier for you! How do I choose songs? We will give you a personal password and a protected online portal with the ability to search and listen to thousands of songs for your wedding or event. 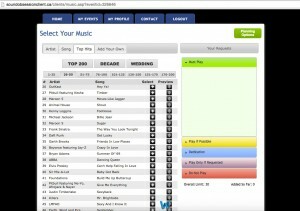 Our music library is conveniently categorised by decade, top 200, artist, and song title. The software also features a wedding specific section to help you select music for special moments such as your first dance, or your dance with your Mom or Dad. Consequently, it is a big relief to go to one spot to find all the songs that are special to you. Other amazing features to help make planning easier for you! 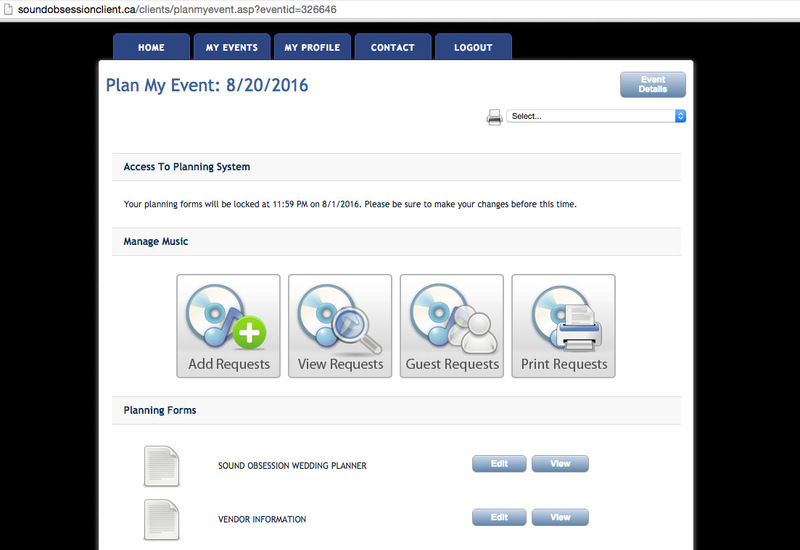 Your guests can request music! 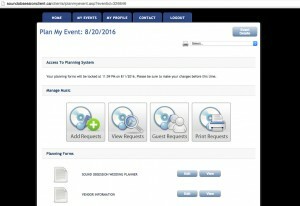 You can review other things you might consider adding to your event. For example, a Photobooth, Lighting or Master Of Ceremonies. You can also view the contract, details and pay online! Would you like to see how the interactive software works? Come visit our show room in Oakville! We can also show you audio, lighting, and Photobooth demonstrations. We want to make sure you like exactly what you are ordering before you book. Not sure what you are looking for? No problem, we can show you many options, and you can decide what best suits your event and budget.